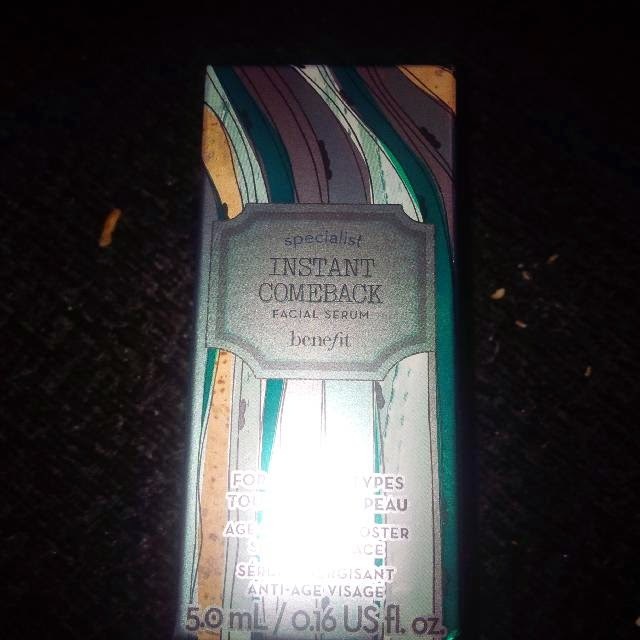 A couple of weeks ago I got a package through the door with a sample size of Benefit’s Instant Comeback Serum. I got it for signing up for emails with a magazine if I remember right. It was a little 5ml bottle, you know the ones, just big enough to get you hooked but too small to last too long! Now I have really sensitive skin and was a bit wary of using it as I haven’t tried any Benefit products before ever, but at the same time I wanted to see what all the fuss was about Benefit. Was it that good? Would I even notice the difference? Well, I am afraid to say it is quite possibly the most amazing product I have ever put on my face. Seriously! Ever! My skin is super dry and I really struggle to find products that reduce the pores and dry skin issues I have on my nose and this stuff done it. From the very first use! I mean, what do you do when you find that product. You get straight on to the website to find out how you can get your hands on an eternal supply of this miracle liquid. Then you cry because to afford just 1 bottle I would have to work a 6 hour shift! At £36 a bottle it is completely and utterly out of my price range but damn do I really want to buy me a bottle of this. Even if it means living off beans on toast all month I really need to invest in a bottle. As you can tell from my pic I am no beauty blogger just an ordinary mum. 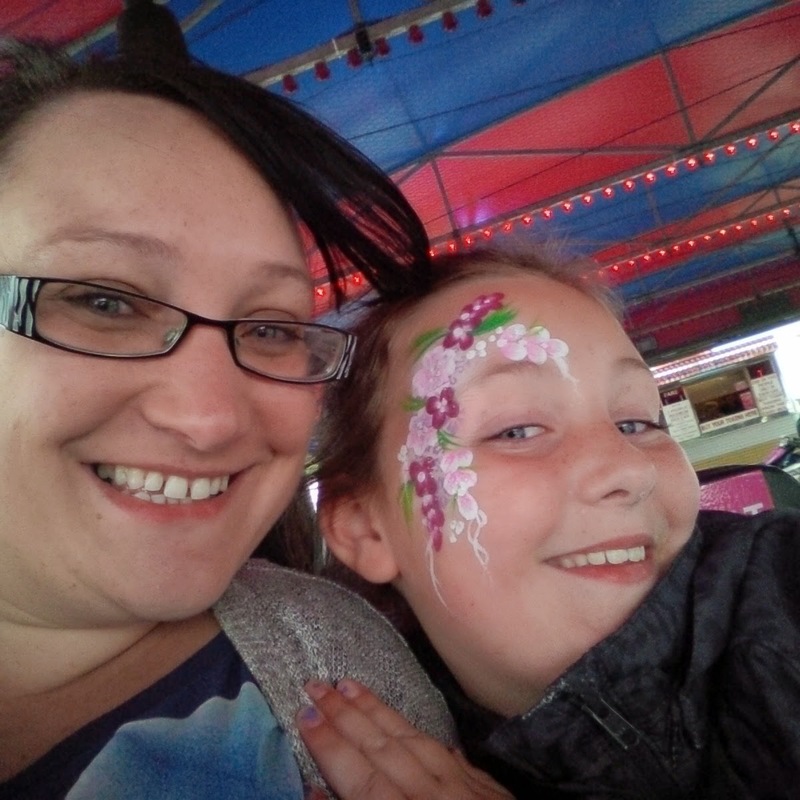 The pic is of my and my daughter on a day out taking selfies on the dodgems and I was pleased with how my skin looked without make up. My skin felt smooth and soft after applying it before my daily moisturiser. There was no greasiness it absorbed straight away leaving my skin make up ready. There was no dry, flaky skin. My foundation went on so easily and I looked so healthy I couldn’t believe it. You don’t even really need too much of it either. By the end of the day I could feel my skin start to get a little dry again so as good as it was it wasn’t a full 24 hour miracle cure, I would need to re-apply it again if I was out for the day and night but as I don’t do that it’s not a major problem. I also went out make up free with the serum and moisturiser on and my skin looked and felt great too minus the make up. I would totally recommend this product and I really hope I can afford to buy a full size product before I run out or I might just cry! Who would of thought the answer to my dodgy skin problem would literally fall through my door. Have you tried this product? What are your thought’s on Benefit products? It sounds amazing! Tbh that's not a bad price for a good serum and if you think about the money you'll save on other products – eg less foundation etc or in fact just how chuffed you'd be with it. Stuff it love. Treat yourself!! Your skin looks great, I know what you mean about getting hooked on samples. I had an Eve Lom one last week and it was so good but ££££.